Dolphin and Fatima Homework Clubs are programmes of Rialto Youth Project. As part of a community-based project our work concentrates on Homework Support and Arts-based programmes. We have recognised that while supporting young people, it is essential to assist them in learning six basic skills: following instructions, concentration, listening, checking quality & accuracy, working on your own and working under pressure. We believe that when young people acquire those six basic skills they become more independent within their work and more self-directing within their own lives. We believe in the value of education. We encourage participation and achievement within the education system to the best of every young person’s ability including progression to college. 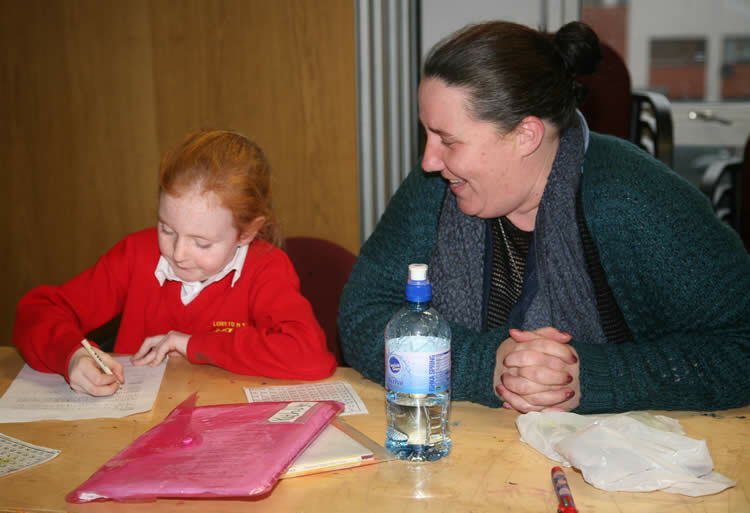 The primary function of the RYP’s Homework Clubs is to offer homework support. Situated in an area of longstanding and multiple inequality where lack of space and poor living conditions are an issue, the homework clubs are at times the only place a child can complete their homework. Belief in the value of education is key to our work. 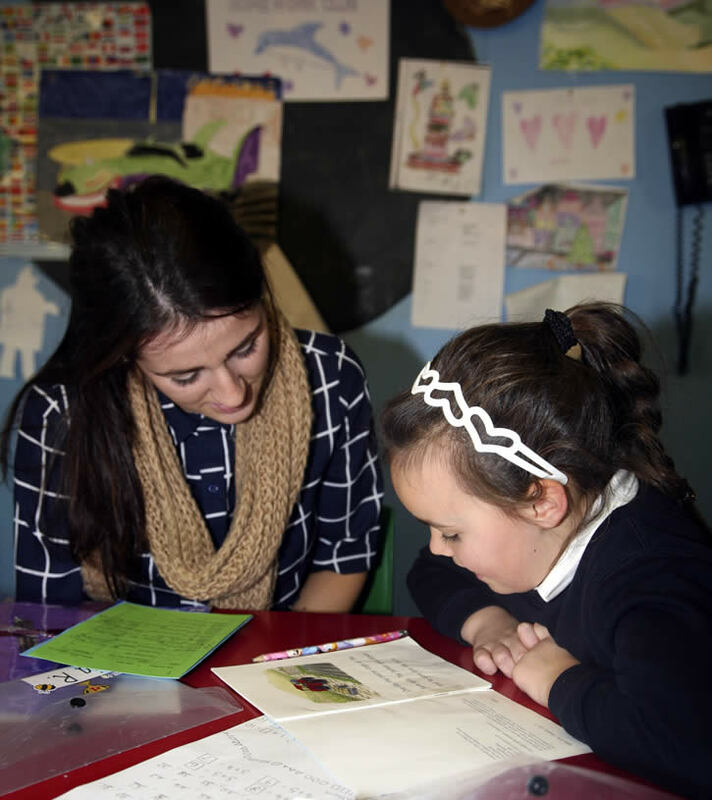 We work closely with schools and support children in their literacy development by supporting and adopting the literacy strategy developed by the local schools. Building strong and compassionate relationships with young people is at the heart of what we do. The homework clubs are a safe and welcoming space. 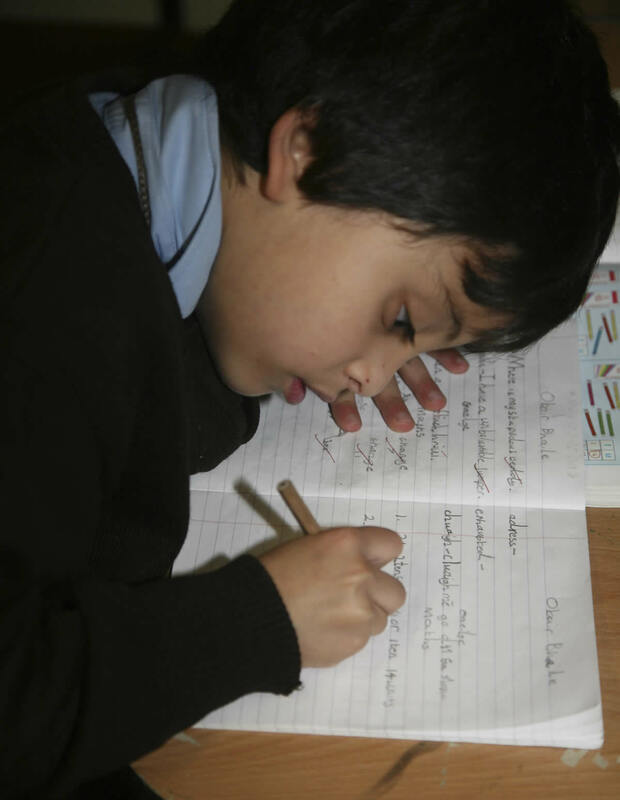 The clubs place high value on fostering a strong homework routine. A key worker works alongside each young person on homework support while also developing a trusting relationship. The strength of our relationships with young people is evident from their continued voluntary use the service throughout their school lives. 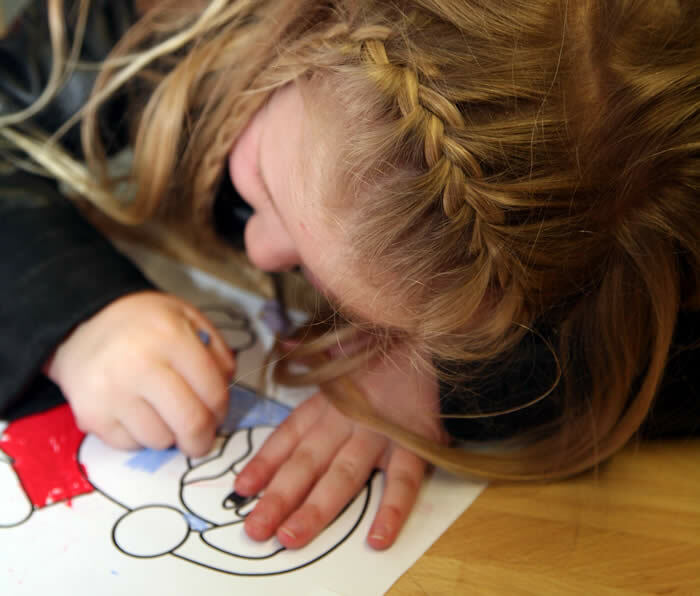 The RYP Homework Clubs run Seasonal programmes, which offer fun and creative projects outside school term and are specifically designed with prevention in mind. We don’t just support young people in their educational development. We recognise that it is essential to acquire six basic skills: following instructions, concentration, listening skills, working under pressure, working on your own and checking quality & accuracy. We believe that when young people learn these skills they can become more self-directing in their lives. Education does not only mean formal education. We are also heavily engaged in arts-based practice. We work in collaboration with many artists in dance, visual arts, street arts and music, so that young people can experience arts practice and possibly find their passion and interests. We believe in the arts as play, as education and as a vocation. An important part of our approach is working with families of young people in conjunction with local schools. The relationship between school, community and family is key to supporting young people through their educational development. We have developed a framework which enables us to work closely with schools in the local area. It is child-focused and allows community and schools to link together on many levels. We have developed an Information Management System to plan and review our programmes using an outcomes-based model of practice. We also use this tool to record young people’s attendance, participation and basic skill development within programmes. Such information is used to develop individual and group-based plans of action for young people. Plans are recorded and reviewed regularly. Needs assessments are carried out for all the children attending the Homework Clubs. Based on the individual child’s needs and interests, both in terms of basic skills and social development, we work hard to create a safe and supportive environment where young people can complete their homework and engage in a positive social space with peers and leaders. The RYP is well placed to promote a young person’s enjoyment of school and a belief in their own abilities, which should impact positively upon improved attendance and educational outcomes. The RYP is well placed to influence young peoples enjoyment of school and their belief in their ability to succeed in school. The evident success of fostering relationships and working practices between schools and the community provide a compelling rationale to maintain and further strengthen these connections. We create a welcoming space offering a structured programme. Children are encouraged to talk about their day. They are encouraged to look after their own belongings and are given small jobs and tasks. We aim to make homework fun and ask questions through games. Parental involvement is very important. Parents are encouraged to volunteer for different aspects of the programme. Development of oral language is essential at this age therefore the club aims to support and develop these skills through carefully designed activities and storytelling. We encourage every child to be themselves and to dive into their own imagination. Support school curriculum. 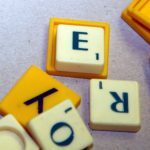 Vocabulary, early literacy and numeracy development through storytelling, arts and social interaction and educational play using different stations for board games, pegs, blocks etc. Oral language development through storytelling and dialogue. Active educational games and sports days. Healthy cooking and eating. Children feel welcome. Greater sense of routine established. Integrated early literacy & numeracy support in all elements of the programme. Enhanced basic skills. Greater ability to share & socialise. Enhanced imaginative capabilities. Ability to create in a range of visual means. Pride in creative capacity. Improved social skills & increased parental involvement. Our ArtSparks programme uses a Story-based approach. An overarching narrative provides the basis for children to explore the world around them in a creative way. 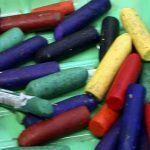 It introduces the child to basic art skills using a broad range of materials, which help develop dexterity and motor skills. 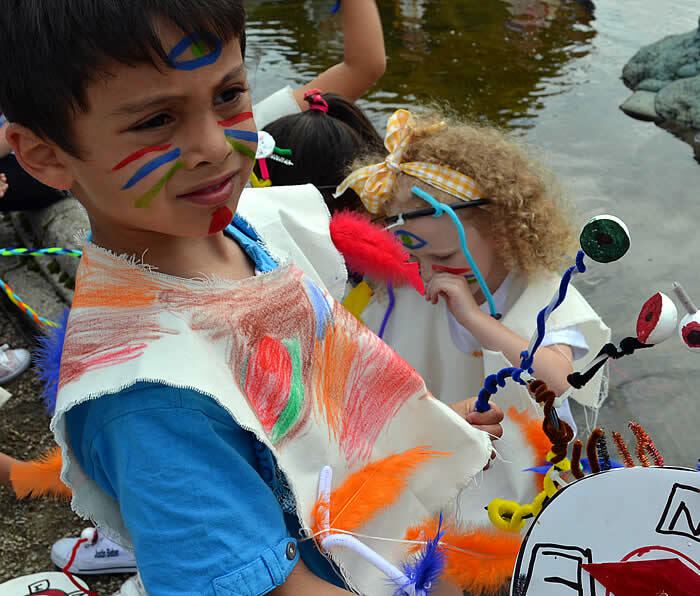 ArtSparks is an open and magical space where children’s imaginations are engaged by the wonder of the story. 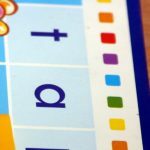 Oral language, literacy and concentration are also developed through ArtSparks. We create a welcoming out of school time space where a strong homework routine is established from the start of the school year. Our homework support is based on the conviction that young people find the answers for themselves through developing their basic skills. This is essential in preparing young people to transition into secondary school. We provide them with materials, resources and the support to do this. The social and educational activities after homework are very important to young people as they attend the clubs on a voluntary basis. The clubs also provide a daily healthy meal. This kitchen time fosters positive relationships. Arts-based groups and youth clubs complete the programme. Welcoming space with routine established. Homework support. Further support of Schools Literacy programme. Further development of the six basic skills. Increased levels of independence among young people. Enhanced organisational & study skills. Increased communication between families, community and school. Up to 2nd class, children can join the ArtSparks programme. From 3rd class, children can engage in the RYP’s dedicated Arts Programme which encompasses a wide variety of artforms such as Music, including guitar and keyboard lessons, Street Performance, Dance, and Visual Arts. The RYP Arts Programme offers clear progression for young people, encouraging them to develop a real interest and express themselves creatively. We provide a homework space where young people can work independently. We assist the development of study skills, often providing grinds in the preparation for State exams. We support young people in the move from primary to secondary school, particularly in relation to becoming more independent and organised. We encourage young people to assess Further Education, assisting with college and grant applications, CV writing and study choices. Working with the youth work team of RYP we ensure the smooth transition of young people to youth work programmes, providing opportunities for them to engage in arts, culture, sports and travel. We also encourage young people to become part of the Junior Leadership programme. Basic skills are applied in homework completion. Successful transition to secondary school. Enhanced preparation for state exams. Successful transition to further education. Participation in youth work programmes & Junior Leadership programmes. Greater sense of creative selves. Young people more self-directing. Young people engaged in the RYP Art Programmes are encouraged to use the skills they have developed to find their voice and become more self-directing. As well as their creative selves we develop young people’s sense of social justice through issue-based projects. We encourage young people to take greater ownership of creative projects they are engaged in and to consider arts as education and as a vocation. Provision outside the school term is an essential part of our work. Young people expect us to be part of significant events in their lives, for those markers of change in their community as well as seasonal events, which every child looks forward to. Local children are put front and center in the planning and delivery of the Seasonal Programme, further developing positive relationships in a more informal, fun atmosphere. Seasonal Programmes also provide an opportunity for teenagers to see if they are interested in the Junior Leadership programme and provides them with a meaningful alternative for their free time during school holidays. Programmes are consciously planned with prevention in mind. They also bring the community together. Week long Easter arts programme with grand finale in the grounds of Irish Museum of Modern Art. Four week extensive summer project, with wide range of daily activities & arts programmes as well as regular outings. Halloween & Christmas, older teenagers engaged in the creation of the Haunted House and Christmas Wonderland for younger children and the wider community. Wide range of creative, fun & safe programmes provided for children & young people during school holidays. Stronger relationships with young people established. Enhanced community spirit. Positive & preventative alternative programmes for young people at key points in the year. Enhanced Leadership Skills among older teenagers. The Summer Project is an intense, 4-week programme for children aged 4 to 11 years. Our aim is to create a fun, energetic atmosphere, taking young people off to explore nature and experience adventures, as well as sports and arts-based programmes. Volunteers and Junior Leaders make up a key part of the Summer Project, further developing their skills. Parents also come along to join in the fun. Over the past few years the RYP Homework Clubs have built strong connections and enhanced relationships with five local schools. A key aspect of this work is the Principal’s Network where principals get to meet each other and identify gaps and strategies in educational practices. The network focuses on community collaboration and educational attainment, with a view to agreeing school and community based activities. In-Service Training supports the development of skills and strategies in the community to successfully complete homework. We also explore ways of supporting literacy development. These structures are complimented by regular visits to and from the schools, which focus on the individual needs of the child. Principals Network. In Service Training for Homework Club staff delivered by teachers. Meetings with Home School Liaison. Community School Visits. Reading Support Worker in school & Homework Club. Individual support for young person and family within the educational system. Positive relationships and day to day engagement between schools & Homework Clubs. Increased links between Homework Club project workers & teachers. Greater cohesion & awareness around the needs of young people in home, community & school. Improved information flow. More sustainable communication structures. The Homework Club leaders regularly visit the schools, staff rooms & classes. Making this connection highly visible reinforces for children that their school & Homework Club are working together. The connection allows us to jointly encourage a child’s hard work & to identify needs early. The aim is to provide a triangle of support around individual young people through home, school & community all working together. There’s lots of books and games there and you get all your homework finished and get to spend time with your friends. There is a very significant level of local participation in the Homework Clubs. 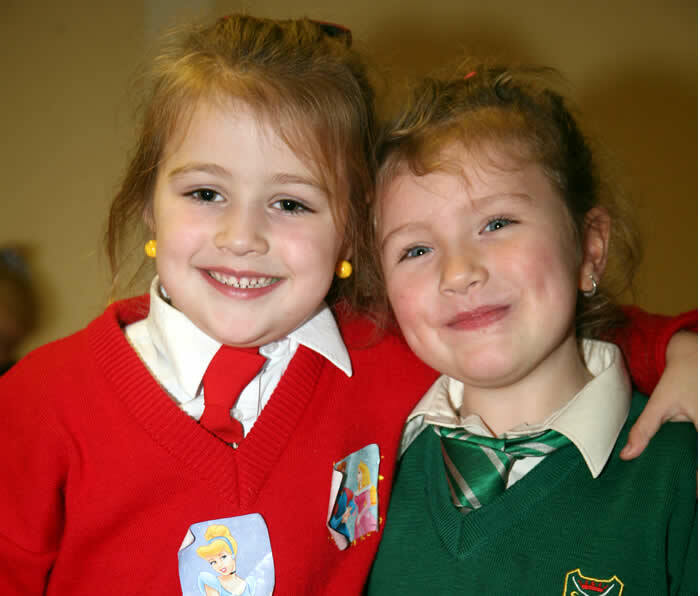 The majority of children and young people living in Fatima and Dolphin participate in programmes that extend over the school holidays as well as term time. 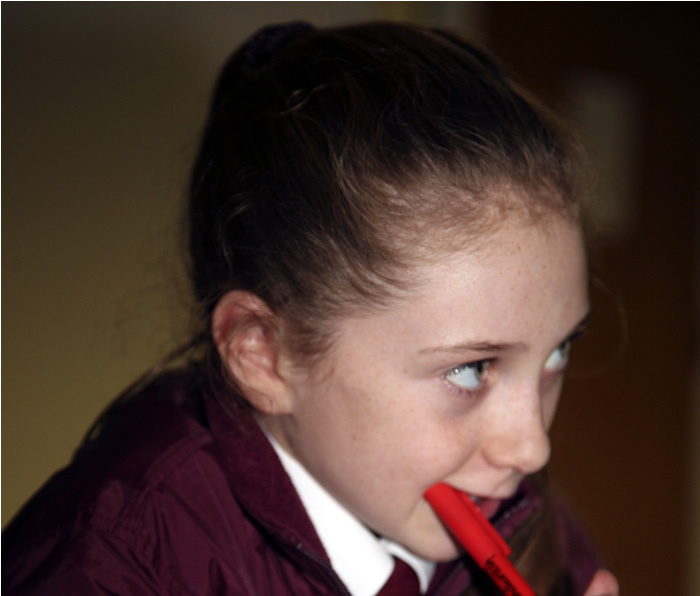 We currently have 213 children and young people registered with both Dolphin and Fatima Homework Clubs, which function from the community centres in Fatima and Dolphin House. Homework Programmes take place from Monday- Thursday from 2-7pm. On each of these days children and young people are welcomed to their group which is a structured programme divided up by school year. There are 4 groups that run each day and each group has between 20-25 children and young people attending regularly. Complementing this, there are different activities and arts-based programmes taking place in the evenings and Fridays. Healthy eating is an important part of the programme. Each team has a kitchen operative who provides all children with a healthy meal and a snack on a daily basis. Kitchen time has become a core part of the homework programme and is very popular with the children – often a first question a child asks is “What food are we getting today?” All the Homework Club programmes are delivered by two core teams of four homework support workers in each location, supplemented by CE workers, students and volunteers. For specific programmes we also work closely with artists, teachers and youth workers. Spend more time with your friends and it’s better than doing homework at home. The music lessons are cool. The Rialto Youth Project Homework Clubs are coordinated by two Team Leaders. 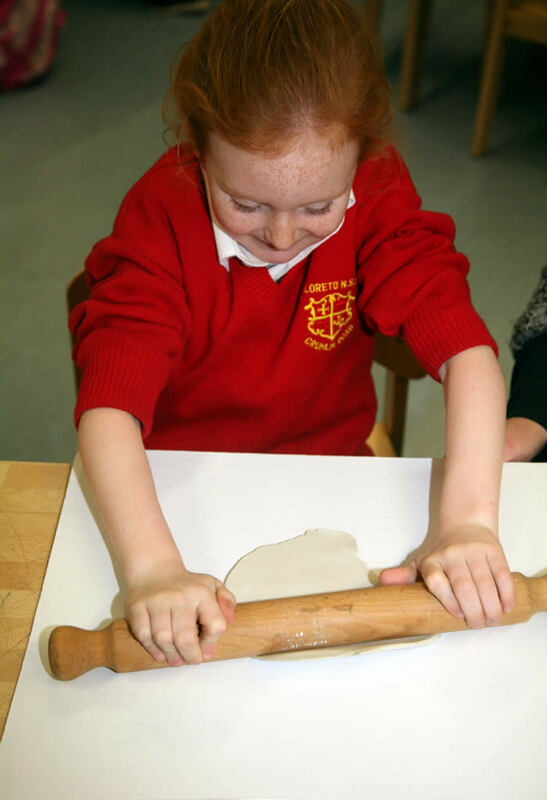 Each Homework Club team consists of a Team Leader and 4 core part time staff and a kitchen operative. Staff also receive support from Community Employment Scheme, Parents, Volunteers and Students on Placements. We have weekly team leader meeting with the RYP manager and the team leader from the youth work team. Here we plan, co-ordinate and discuss the development of the overall direction of the project. We strategically plan for the project within the wider context of youth work and community development. We also have weekly team meeting with the core teams who deliver the Homework Club programme on the ground. At those meetings, programme outcomes and the needs of individual young people are discussed and follow up actions are planned. All these areas of work are monitored within our Information Management System. Dolphin House and Fatima Homework Clubs are programs of Rialto Youth Project. We are a community-based project which works under 6 areas of development. These include Homework Support/Education, Coaching and Mentoring, Group Work, Arts Work, Sport and Social Programming. 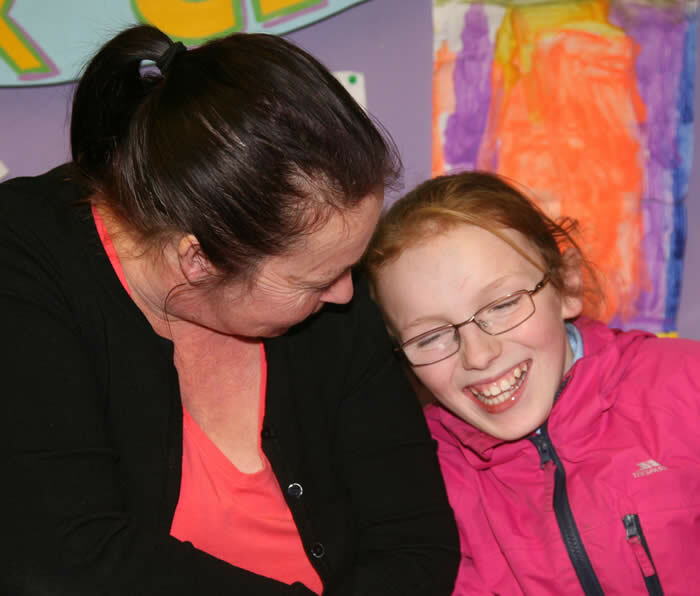 The Homework Clubs are core-funded on an annual basis by Pobal’s Community and Childcare Scheme. as well as a variety of one-off small grants and sponsership. The programme is also supplemented by a range of fundraising activities organised throughout the year by staff and young people.